The Gund Company is a vertically integrated manufacturer and fabricator of engineered material solutions. Throughout our history, The Gund Company has continued to add capabilities based on understanding and responding to the voice of our customers. In essence, we are what our customers need us to be. Everything we do starts with asking questions to understand our customer’s needs. We will continue to evolve based on our customer’s needs. Today, we are a manufacturer and fabricator of engineered material solutions. Tomorrow, we will be what our customers ask us to be. 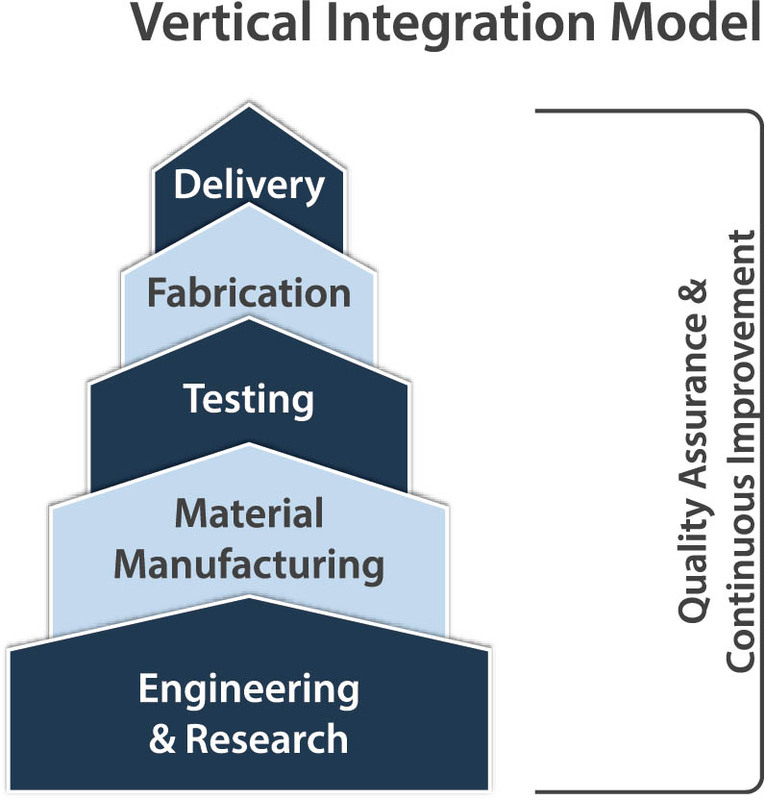 Our capability starts with application engineering to understand our customer’s needs. Since we can produce composite materials and thermoplastic materials with a variety of manufacturing techniques, we can develop unique solutions for our customers. We are fully equipped with today’s most modern fabrication and converting equipment and continue to invest in technology that allows us to produce the most complex components safely and economically. Kitting and assembly services offer our customers value added solutions to reduce supply chain complexity. Our inventory management programs deliver value by giving our customers the flexibility to purchase according to the needs of their business. We have continuously improved our capabilities by listening to our customers. We invite those with additional suggestions for improvement to please share their comments here. We develop and manufacture many of our core materials in-house, which means we control our supply chain. The typical values of our independent materials far exceed industry standards, such as NEMA or IEC. Our team of engineers utilize our fully equipped materials testing laboratory in Milwaukee to research and develop new materials. We also test and compare materials from many sources to provide the data that engineers need to optimize their designs for cost and performance. We continue to develop new materials every day that meet or exceed our customer’s demanding applications. Our knowledgeable team of material specialists is available to help answer questions about your application. Contact a material specialist today to learn more. Each of our locations has vertically integrated manufacturing and fabrication capabilities and offer industry leading customer service, technical materials expertise, and application engineering services. Each facility is operated using lean manufacturing principles, as well as the same quality system processes, information systems, and operational philosophies. Such consistency allows our customers to receive the same level of performance regardless of production location. Our Application Engineering Team can work with your engineers to help develop application specific solutions that meet or exceed your mechanical and electrical requirements. Our eight fabrication plants also offer value-added services, such as kitting, assembly, part printing and marking. Contact us today to discuss your application and how we can serve you!